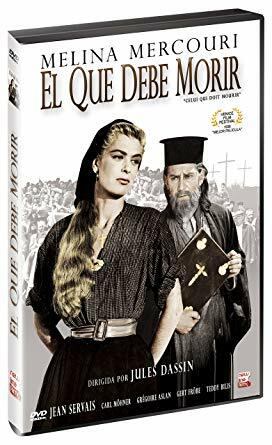 Melina Mercouri plays the role of Katerina, who in the Passion Play has the role of Mary Magdalene, the first blonde woman to play the role. This film of a novel of Kazantzakis is the only film of one of his novels that appeared in his lifetime, though he did not participate in the adaptation of the novel. The film ends differently from the novel. In the novel, the villagers leave in exile, vanquished, under the direction of their priest. In the film, Jules Dassin chooses to make them fight to the end. The director's idea was to maintain the morale of the popular fighting classes. For Kazantzakis, the episode is just a moment of suffering on earth for souls living in the spiritual mode.